If you’re a fan of CBS comedy-drama Bull, you are probably waiting impatiently for the season one finale, which takes place this week Tuesday, May 23 at 9 p.m. EST. And as you are watching this episode unfold, you might notice some familiarities in the yacht charter included in the episode. Why? 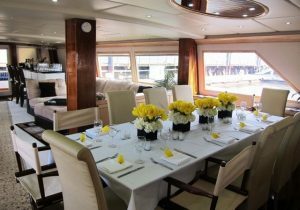 Because it is none other than Metro Yacht Charters of NYC’s Justine! 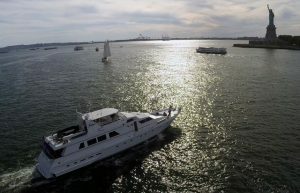 Although disguised with a new name for the episode, Justine was chosen to be a part of Bull, with shooting for the season finale episode taking place at North Cove Marina, in lower Manhattan just a few short weeks ago. Looking for some information on what this episode might hold? While we can’t give away any spoilers, we can set the backdrop for the scene that takes place aboard Justine. 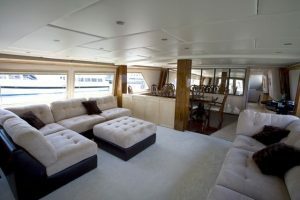 This luxurious 97 ft. private yacht can host up to 12 guests for a sun drenched afternoon cruise, a sunset cocktail cruise or an intimate dinner cruise. 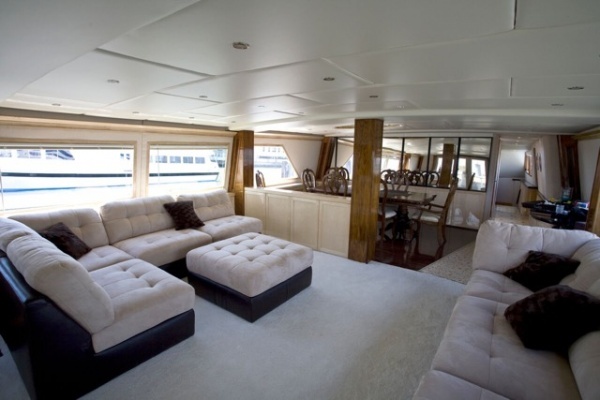 With plenty of room to relax, Motor yacht Justine offers an elegantly appointed interior with plush lounge and dining areas as well as spacious exterior on her aft deck, top deck entertaining area and sun pad along the bow. Justine is also one of the few yachts that offer overnight accommodations (in 4 beautifully appointed staterooms) for extended cruises to eastern long island, New England or the majestic Hudson River Valley. You can learn more about Justine and our other luxury yacht charters on our website, and we will see you tomorrow night on CBS Bull!